Boxer Modus Vivendi Indigo 12621. The Boxer has everything you love about Modus Vivendi. An amazing combination of two blue denim fabrics and black perforated leather combined with denim blue belt. The perforated leather details offer a very sleek and stylish look in the back and sides. An elegant approach to a classic garment that most men love. 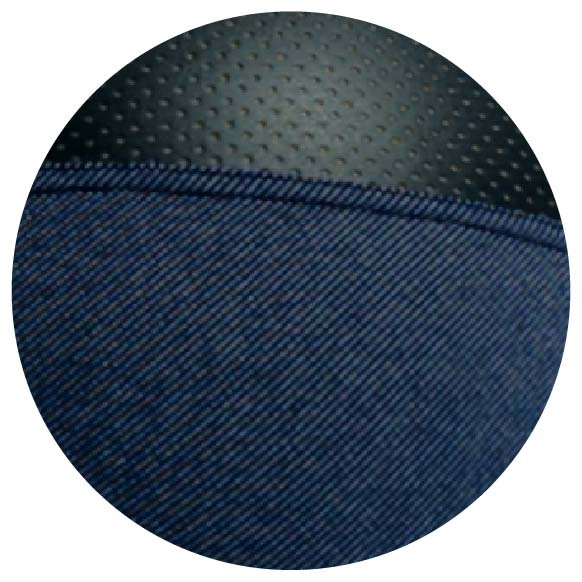 48% Cotton, 47% Polyester, 5% Elastane. Its a dream!